As part of the current celebrations for NAIDOC Week from July 8-15, Black Swan State Theatre Company and Yirra Yaakin Theatre Company have come together for their first ever co-production titled Skylab which is set for its world premiere from Thursday, August 16 until Sunday, September 2 at Studio Underground. The production was originally developed by Ilbijerri’s Black Writers Lab; Moogahlin’s Yellamundie National First Peoples Playwriting Festival, Playwriting Australia’s National Play Festival with Yirra Yaakin Theatre Company. The production is set in July 1979, and follows the story of Nev, Jem and kids. NASA’s Skylab is hurtling towards Earth, about to crash land near Esperance in remote Western Australia. Nev, Jem and the kids have no idea that their world is about to change: reality shifts, conspiracy theories abound and a pink horse appears out of nowhere. The town’s white fellas start behaving strangely too, with apologies for taking black fellas’ land and handing over all money owed. 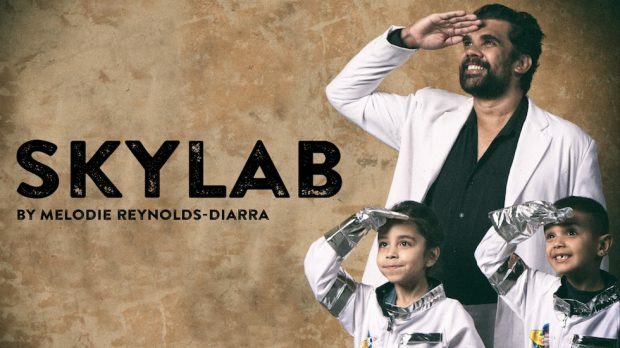 Black Swan State Theatre and Yirra Yaakin Theatre Company presents Skylab at Studio Underground from Thursday, August 16 until Sunday, September 2.